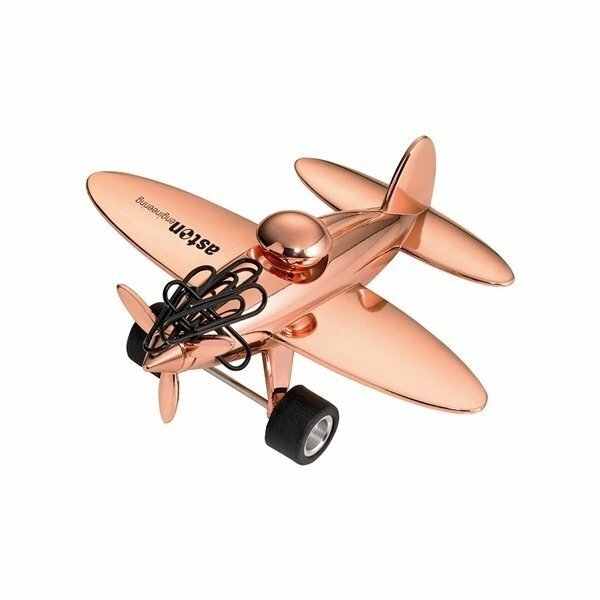 Rose gold manual mobile airplane paperweight with magnet for paperclips (5 included). This fine desk accessory is not only for the airmail that lands on your desk but also has an integrated magnet to keep your paper clips in one place! Great product..out members love these as awards~ these products really "LIT" up the party! We had a product launch for our drink and they worked nicely with our logo. I was even surprised to get the items a day earlier than expected. I'd like to thank Alicia for a job well done!